This will be my last blog for a few weeks. 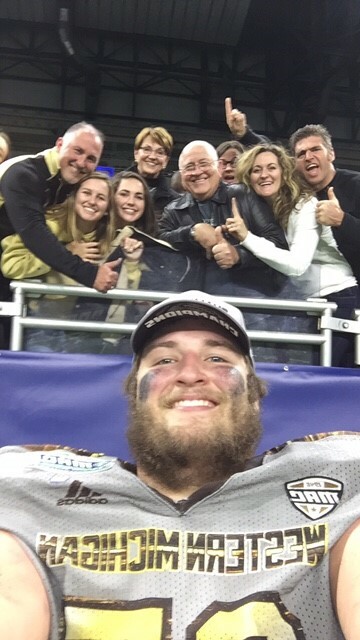 We will be having fun with family in the snowy Mid-West and then celebrating with our whole family at the Cotton Bowl in Dallas on Jan. 2 and hopefully a Western Michigan victory. In the meantime, join the other bloggers for this week's Wednesday Hodgepodge. I am definitely more task oriented. My temperament, Choleric, is rather controlling and we seem to work better by ourselves lest we hurt some feelings along the way. 2. 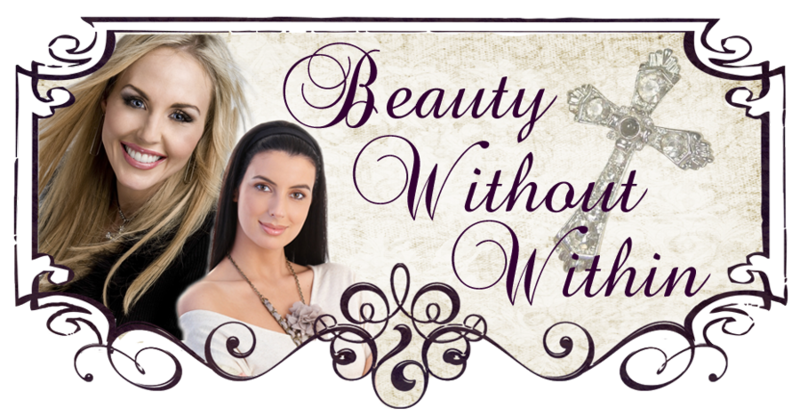 December 15 is National Wear Your Pearls Day...do you own/wear pearls? If you're a man answering the question, does your sweetheart own or wear pearls? Everyone share a 'pearl of wisdom' with us here today. Yes, I love my pearls but wear them selectively. I will be wearing pearls on the 15th as we have a SS Class party and I'm wearing a white cashmere sweater that screams "PEARLS." God is so absolutely crazy about us, crazy enough to take on human form to pursue us ... and then to hang on a cross for us. 3. Speaking of pearls...oysters? Are you a fan or not a fan? If you answered yes, tell us your favorite way to eat oysters? If you said no, be honest-have you ever tried one or does just the idea of eating an oyster make you gag a little? I do not eat oysters. I did try a fried oyster once at the famous Middendorf's in Manchac, LA (near New Orleans) and couldn't swallow it. So no, the very idea of eating an oyster makes me gag a lot. Just say'n, if you can't eat Middendorf's oysters then you may as well not try. 4. Time Magazine has named President-elect Donald Trump Person of the Year. Let's take presidents and presidential candidates out of the mix for a minute. If a political figure had not been chosen who would you name Man or Woman of the Year for 2016? I would name Franklin Graham for the wonderful work for Jesus Christ he is doing for mankind all over the world and for the impact he had on this year's election. 5. The Pantone Color of the Year for 2017 has been announced, and it's a vibrant green aptly named-greenery. Your thoughts? Is this a color currently in your home or wardrobe? Will you add something in this shade for the new year? Click here to see the color. No, I do not care for "Greenery" at all. It is not and will not be in my home or closet. 6. Today I've had too much________________________. Emptying of boxes. Not really, but let me explain. 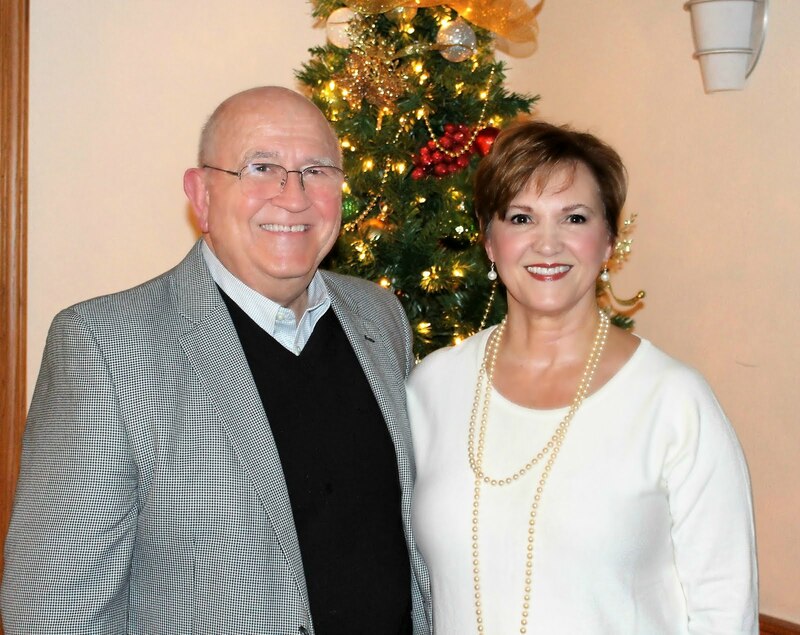 A young lady in our church is in great need. She was reared by her grandparents after being rejected by both parents as an infant. She has finally found a good job and is renting a very small apartment. I went today to help her get it set up to some degree and assist with the emptying of boxes and boxes she packed up when her grand parents died. I left her with an organized living room - completely decorated bookshelves and pictures on the wall - and tons of boxes yet to be emptied. But what a feeling of accomplishment we both had when I left. Christ, by highest heav'n adored, Christ, the everlasting Lord: Late in time, behold him come, Off-spring of a virgin's womb. Veiled in flesh the God-head see, Hail the incarnate Deity! Pleased as man with men to dwell, Jesus our Immanuel. Hark the herald angels sing, "Glory to the new-born King." Hail the heav'n born Prince of Peace! Hail the Sun of righteousness! Light of life to all he brings, Ris'n with healing in his wings. Mild he lays his glory by, Born that man no more may die, Born to raise the sons of earth, Born to give them second birth. Hark the herald angels sing, "Glory to the new-born King." A blogging friend was some what disappointed that I hadn't done any Christmas decorating but totally understood my reason for not doing much - we won't be home for Christmas. However, after doing the little table tree and a lighted arrangement for the foyer (I need lights to shine through the door at night while we're gone) I did decide to dress up my table. Here are the results. 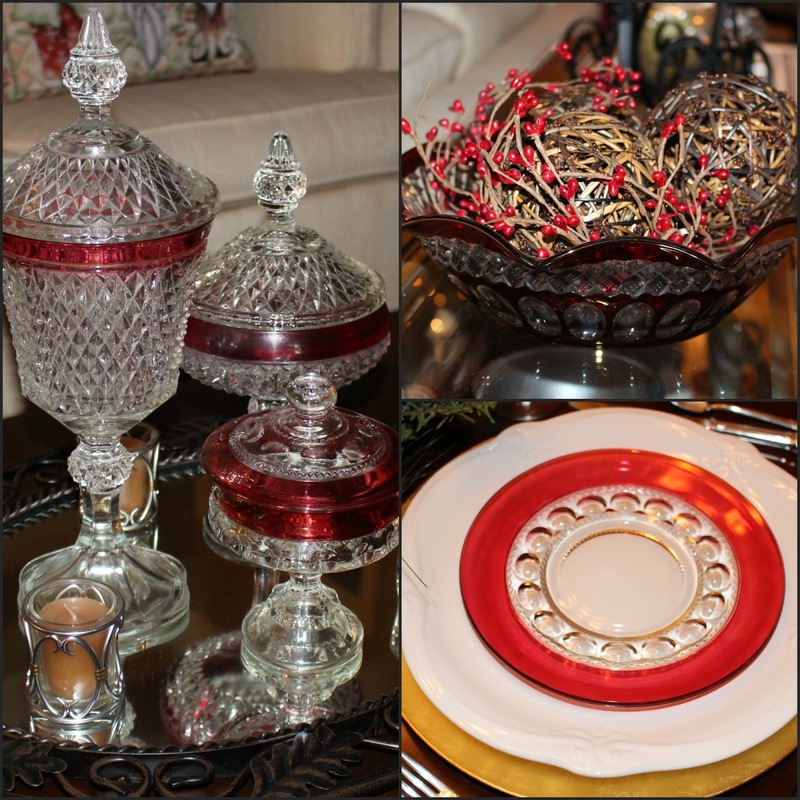 I decided to use several pieces of my Cranberry Glassware in decorating this season. I used a large wreath in the center around which I used gold chargers, white pottery plates and the Cranberry salad plates. The crystal stemware is my favorite and the flatware was my mothers. This gave me the encouragement I needed to polish it. 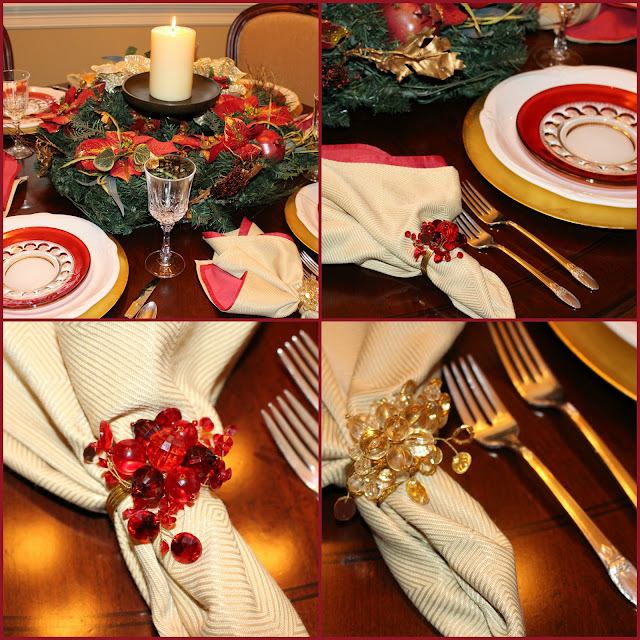 I doubled the napkins, gold and red and mixed the napkin rings. I used other Cranberry Glassware pieces on the coffee table and the sofa table. This is our little lighted tree which will be on a timer when we leave. I did put out a couple seasonal pillows as well and carried the cranberry color with other pillows and tree skirt. This little lighted arrangement in the foyer and the tree in the background make it appear all is well inside this dwelling. And may the light of Christmas be in your heart and home all season. All of us have heard about what has happened to Detroit, but until you see it for yourself, there is no way to fully understand. Years ago the place for people in the south to go for jobs were either Chicago or Detroit. From the late 1800's through the early 1960's, these large cities prospered, evidenced by the opulent, classical, and beautiful architecture. There is no place that is a more vivid testimony to the change of times than Detroit. We were in downtown Detroit a couple weekends ago. From the airport, we passed huge factories with tall smokeless smoke stacks and empty parking lots that covered acres. Our hotel was located right downtown in the Grand Circus Park Historic District and near the new Detroit Tiger (baseball) and Lions (football) Ford Field stadiums. We were only a block from the The Detroit Opera House which has existed in some form or fashion in downtown Detroit since 1869. The original facade is very ornate with the newer addition quite contemporary. Our hotel is one of the very few remaining buildings in this area that has been renovated and still stands as a renewed version of the past. Let me share it with you. 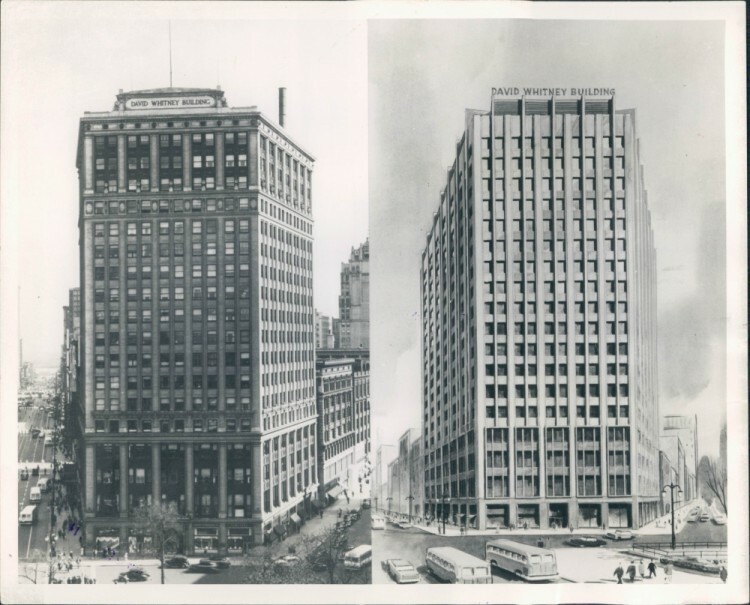 This is the David Whitney Building on Park Avenue and now the Aloft David Whitney. Opened in 1915, it was named for David Whitney, Jr, who was a wealthy Detroiter who earned millions of dollars as a lumber baron dealing in white pine; his father was said to be the employer of Paul Bunyan. He was also a real estate and shipping magnate. 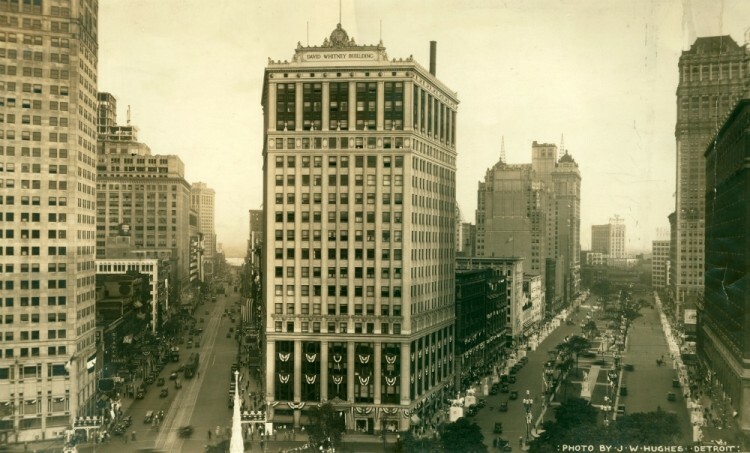 During it's construction, in 1914 the Detroit Free Press called the building the "finest in the country." On the left is the original building and the right is a projected sketch for the 1959 renovation. Typical of Detroit at the time, the exterior was styled with clean lines in a Neo-Renaissance style faced with terra cotta and glazed brick. The original façade was altered in 1959, when decorative cornices were replaced with a 'modern' top. The original lions on the top were painstakingly restored during the renovation process. It was designed with retail on the first four floors, including clothing stores and jewelers. 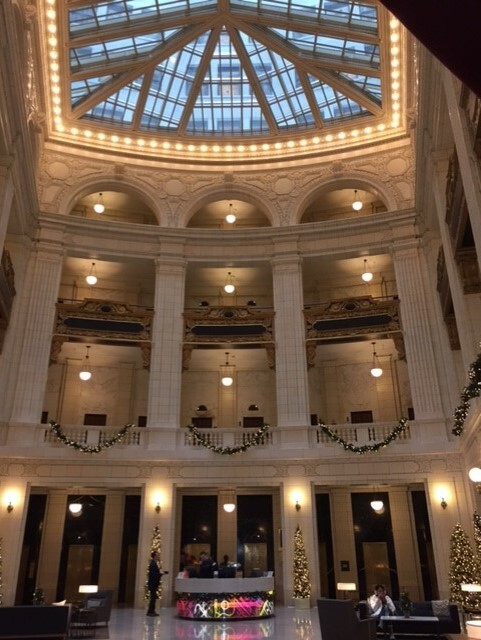 A central four-story atrium allowed light into the interior of the upper-floor offices, most of which were medical. There were 19 floors housing office and retail space with a two-story mechanical penthouse at the rear of the building. When the Whitney family sold the building in 1966, more than 300 doctors and dentists had offices here. 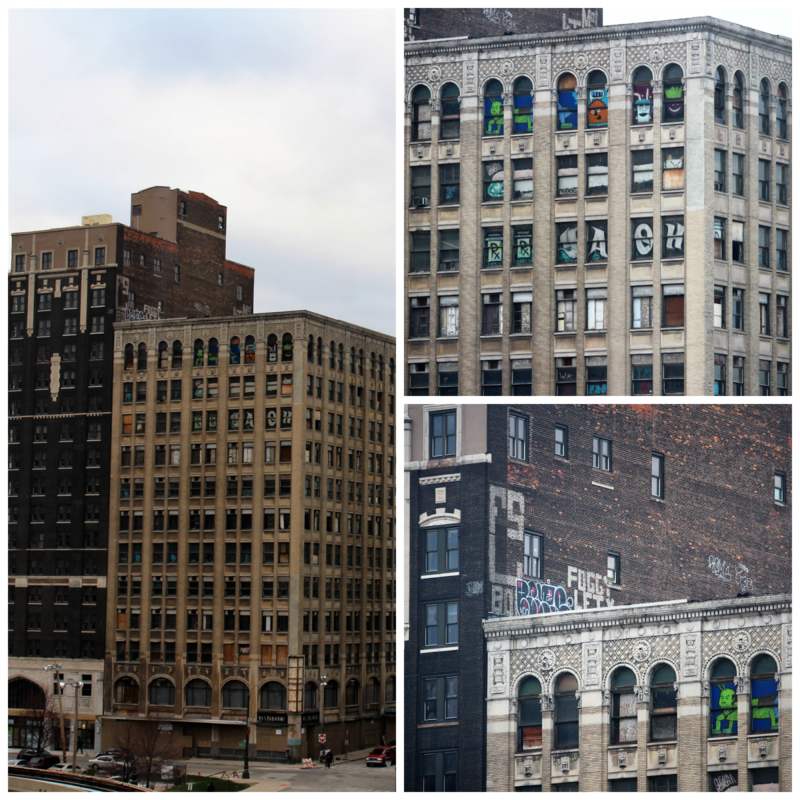 It was listed in the National Register of Historic Places as part of the Grand Circus Park Historic District in 1983. 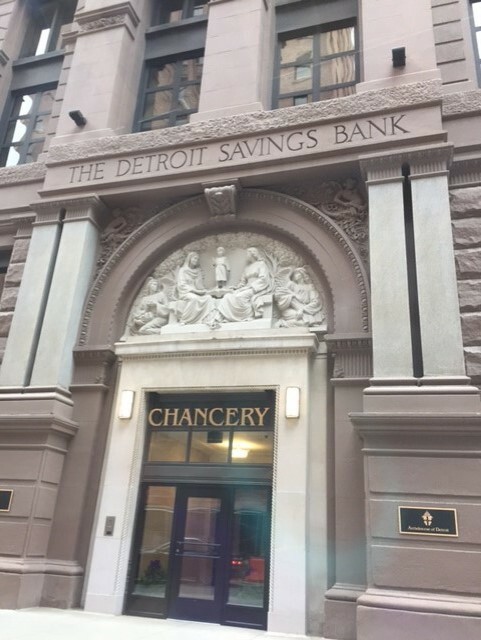 In January 2011, the Detroit Downtown Development Authority approved a $1 million loan to help Whitney Partners LLC purchase and renovate the building. 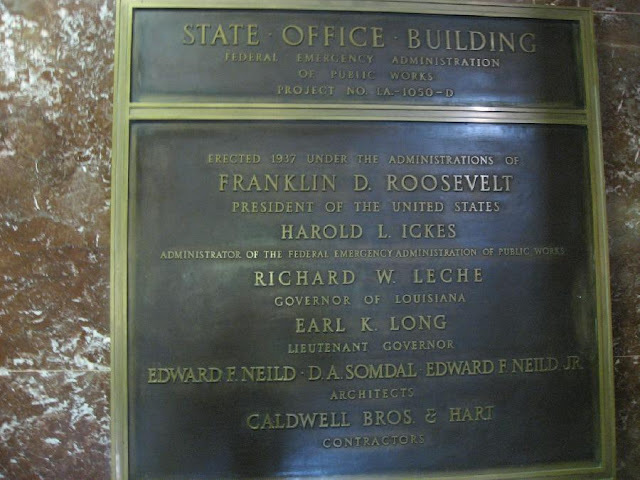 Their plan included restoring the decorative exterior elements that were removed in 1959 and the four-story lobby. 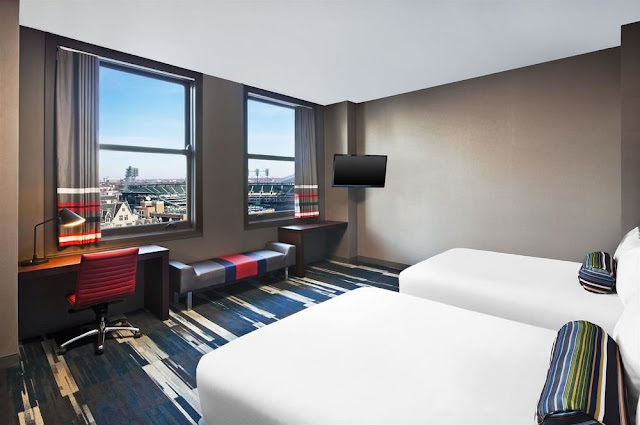 Their vision for a boutique hotel, apartments and retail were finalized in December 2011 with an agreement with the Aloft division of Starwood Hotels to operate the 136-room hotel. The hotel occupies floors two through nine of the building with 108 high-end apartment units on floors ten and above. 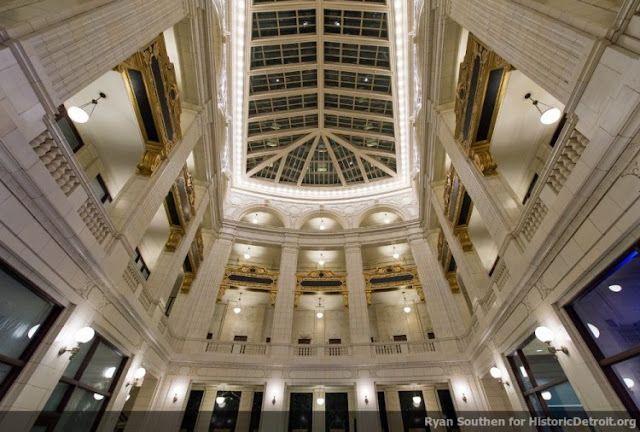 The $92 million renovation began in March 2013 and was completed in December 2014. 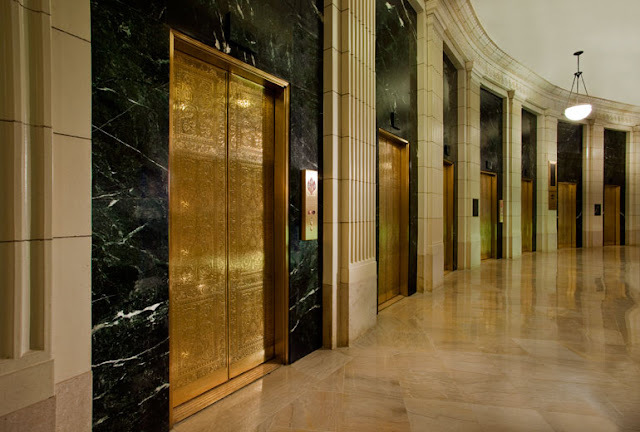 The lobby is a spectacular entry with its marble floors and walls and multi-storied columns. Of course the skylight draws the eye upward. The black marble wall of gold inscribed elevator doors speak to the grandeur of the original building. 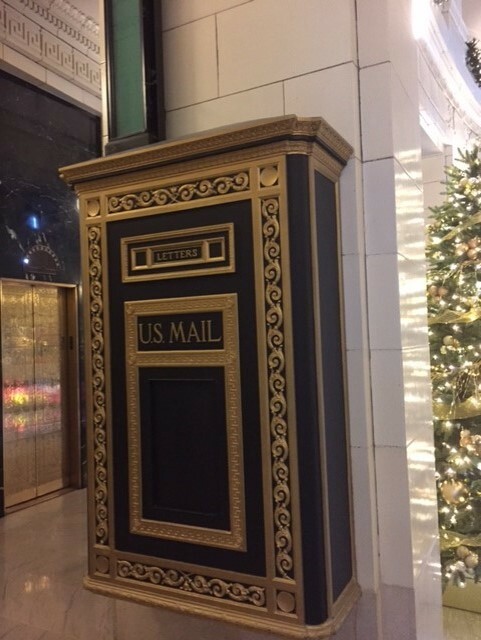 This old mail box remains as a testament to the past. From our fourth floor room, we had this amazing view in all directions. In contrast to all this grandeur, the rooms were an Art-Deco design. But, the beds were super comfy and the huge windows amazing. But, let me show you what we saw out these amazing windows. 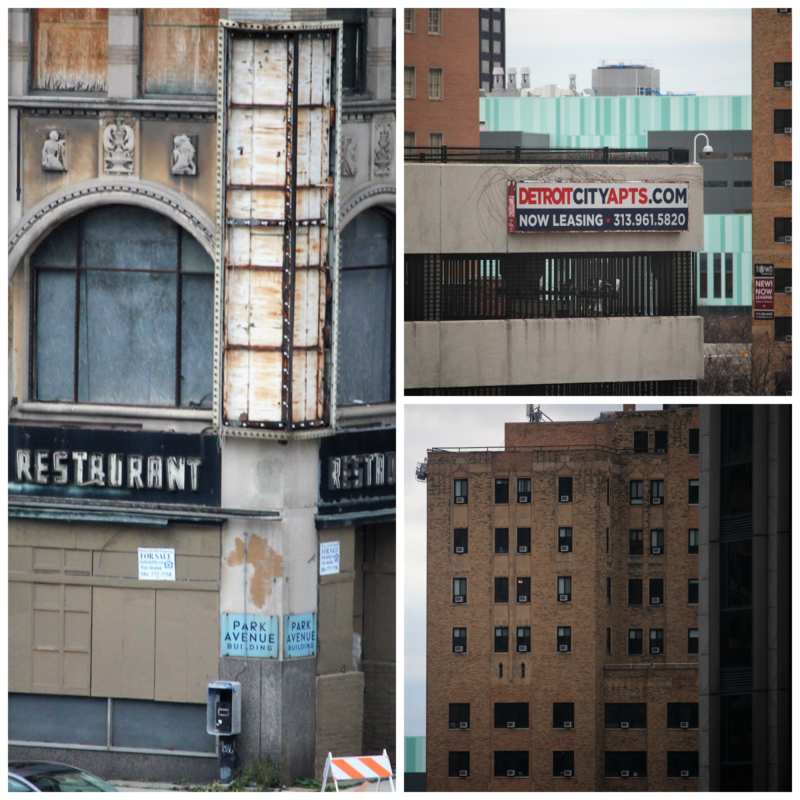 We saw the sorry story of what typifies much of downtown Detroit today. The "Detroit People Mover" now runs in front of the hotel connecting the Grand Circus Park Historic District to the Financial District. These were places of business that are now empty with boarded up windows and decorated now with graffiti cheapening the once proud facades. Signs advertising apartments are all over downtown. But the window air units tell one a lot of what the interior must be like. The evidence of neglect is always a very sad thing whether it be a city, a building or a person. I took a short walk right around the hotel. I can't end this review of our trip without some of the best views. Our big 300+ lb. 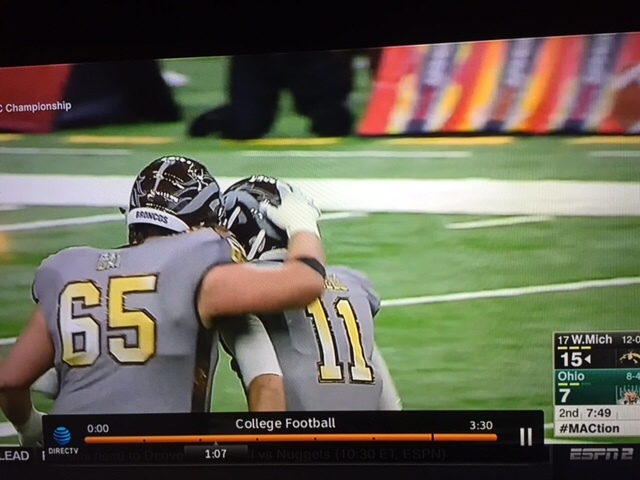 left guard encouraging his quarterback. 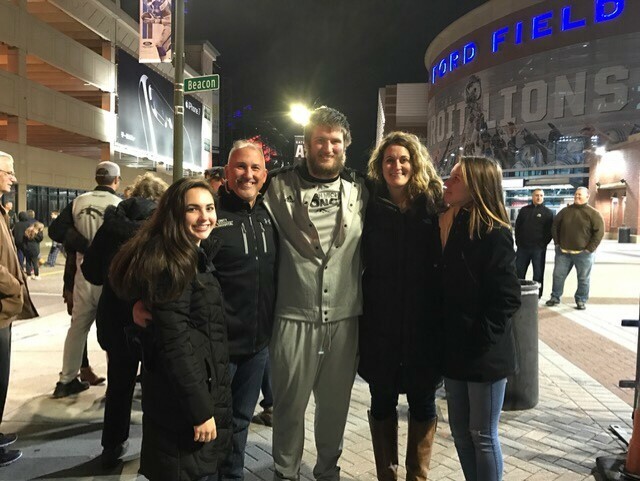 That same big guy loving on his adoring family. The scoreboard showing the team winning the MAC Championship title and who they will play in the coveted Cotton Bowl on January 2. 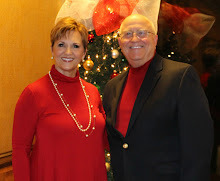 It is all about getting into the Christmas spirit today on the Hodgepodge, so answer the questions that Joyce so graciously gives us, and join us as we share with each other what is important to share. A 2! I love beautiful Christmas decorations and enjoy seeing all the lovely homes bedecked for the season, but I do not have one single thing out at this time. We always leave the middle of December to spend Christmas with our son and his family in northern Indiana. We do not return until after New Years. So, all I usually do is put a small tree on the round table in our living room and the lights on a timer so it appears someone is home. I will also put something lighted (also on a timer) on the foyer table. But that is about all. No corner-room-table-space decorating in my house. I do have a Christmas plate on my kitchen counter. Does that count? Yes, there always was when I decorated. In fact, when the children were at home, I would have several placed around the house. But, our favorite was a carved olive wood nativity set that we bought in 1972 in Jerusalem. I gave it to my youngest granddaughter a couple years ago. No, we aren't very social around our house although we are all very neighborly. We do things for each other and visit in the street but do not mingle socially. I think there are much more social sections of our neighborhood where young families do things together. No, I wouldn't change a thing about our little street. I don't look back and wish for "days of yore," and instead am happy with today and what might come tomorrow. So, for me, 'there's no time like the present'. Now, if we're talking 'present' as in presents, I'm not doing much there either. All our grands are grown except for the 10 year old, and I can not longer buy for them, so give them money. The grownup daughters will get a little something, but that is all the presents we do. Yes, I still dread Mondays for some reason. Even after being retired since 2011, I begin thinking about Monday on Sunday night and dreading it for some reason. It is just a mental thing. Silly, but old habits are hard to break I guess. The Poinsettia is my favorite. I do have a Christmas Cactus about ready to bloom. 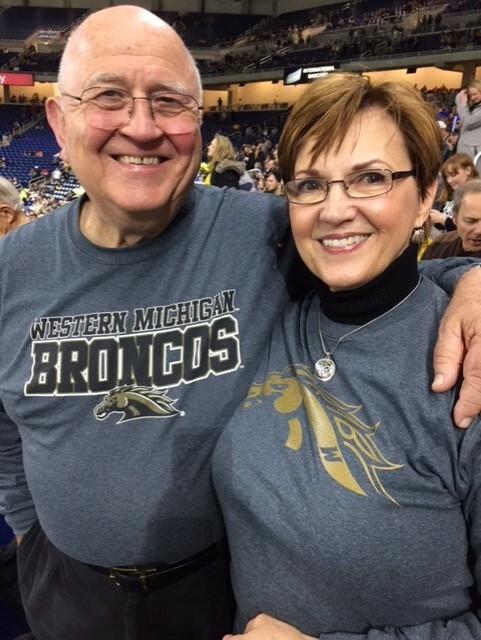 Hubby and I were blessed to be able to fly to Detroit last Friday to witness our grandson's football team continue to make history and break records for their school, Western Michigan University. 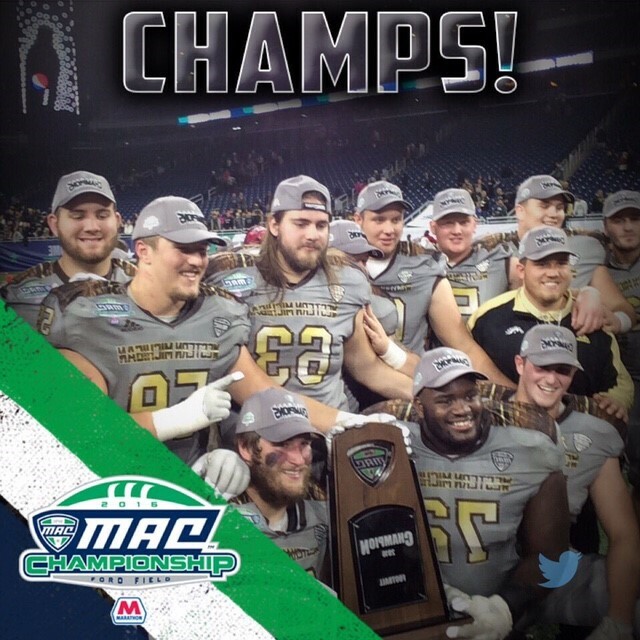 They won the Mid America Conference (MAC) title against a good Ohio U team. They end the year with a 13-0 record and have been invited to play Wisconsin in the Cotton Bowl in Dallas on Jan. 2. And yes, we will be there for sure. So, if you are a bowl game watcher, check it out and look for #65 with "Day" on the back of his jersey. I captured these two pictures of our Jackson when he saw his mom and dad and think they tell the story of his excitement and how close they are as a family. The third picture is our favorite and will be a keepsake for all of us. There is a regular feature in our local newspaper entitled "Mansion on the Market." I always enjoy seeing these magnificent homes in our area. Recently there was a home featured that caught my eye. "Bayou Pierre home is a fairy tale classic place." After reading the article, my interest was indeed captured, so I called the realtor to see about the possibility of seeing and photographing the home for my blog. She agreed to contact the family who currently owns the home for their permission. She texted me back immediately with their consent and an appointment was made. Coldwell Banker Realtor Sharon Martinelli met me at the house, gave me a tour, then turned me loose to photograph to my hearts content. She also provided a history of the home compiled by the current owner. Ransom Edward Jacobs Jr. , born on May 15, 1886 in Shreveport, Louisiana married Grace Burgess of Alabama on May 17, 1914 and brought her back to his home town. Grace was several years younger than Edward. In approximately 1929 they had a son also named Ransom Edward. It was in this year that Edward began the construction of this home for his young family, designed by renowned architect Edward F. Neild. It was completed in 1932. At 6,571 square feet, this one-of-a-kind property is now on the market for $2,500,000. The location was on a hill in a wooded area with Bayou Pierre running behind the 5+ acres on the outskirts of town at the time. It was full of Dogwood trees, stately oaks, and large pines. Daffodils enhanced this naturally beautiful landscape in the spring time. The house had beautiful features patterned after authentic English Tudor style. The masonry throughout the interior and exterior is unique with its curving bricks, inconsistent size, and random large stones. The owners have been told that masons throughout the city have tried to duplicate the brick work, but have failed to make the walls stable. This certainly adds to the unique character of this landmark house. All of the windows are the original diamond-paned windows with leaded glass characteristic of the true English Tudor. Another characteristic is windows that are side by side, placed closely together. These windows can be found in bigger rooms of the house such as the living room and master bedroom. You will also find narrow, tall windows that can be opened by a crank. The roof is hand poured individual brick tiles made to look like actual wood. There is a large surplus of tiles stored beneath the small house down the hill behind the house. The "Little House" was originally a wash house for the family laundry and a grounds keeper's cottage. The original wash tubs once kept beneath the house still remain. The current owners remodeled several years ago and also added this beautiful deck off the hill which overlooks the acreage to the Bayou beyond. It actually has the feel of a 'tree house'. The original workshop attached to the back of the garage was removed by the current owners and replaced with an apartment. They also added a deck here to enjoy the outdoors without having to go down the hill. Now that we have seen the outside, let us go inside. The feature of the front of the house other than the amazing masonry is the recessed entry and massive front door. Built in a time when superior craftsmanship and attention to detail coupled with fine materials were the standard, this home exemplifies the integrity of the period. The current owners are only the second to live in the home and have maintained that integrity and originality of the structure and grounds. The two and half story foyer in this historic treasure sets the stage for the remainder of this house. It is lit by the original large iron fixture. The exposed oak beam ceiling detail automatically draws the eye upward. the arched doorways throughout, solid wood oak doors with original hinges and knobs, stained white oak floors and the ceilings both in the foyer and the living room. The wood ceilings in the living room are 14 feet. Each bedroom, the dining room, living room and library have fireplaces with working gas heater grates imported from pre-World War II Germany and the andirons bear the Nazi insignia. This is interesting as the family was Jewish. The iron sconces inside the living room door way highlighting the built-ins are original. Seen in the picture below is new duct work. The original house was built before central air and heat. It took seven months to install five zones of heating and air. Oak flooring from the attic was used for the furring downs in the den and living room. Ducts were routed through closets and the cabinets in the butler's pantry because of the thick solid walls. Off the living room is the den. Originally, it was an open Portico, but was enclosed by the Jacobs family in the early 50's. The slate floors are original but the origin is unknown. Arched windows and a wood burning fireplace were added at that time. The current owners converted the fireplace to gas a few years ago. The amazing brick work can be seen on these interior walls. This doorway opens into a hallway that leads to the foyer and to the butler's pantry. Again you can see the beautifully preserved white oak flooring. The Butler's pantry has the original forest green tile counter top which inspired the color choices for the house. The current owners covered the walls of the charming breakfast room, adjoining the pantry, with forest green fabric imported from France to accentuate the oak beamed ceilings with the original Hunter fan and fixture. The brick floors and windows are original and a copper roof covers this unusual shaped room. The large formal dining room is also off the Butler's pantry. Originally, the dining room walls were plain plaster as in the foyer and living room. Thankfully all of the original floor plans were found in an upstairs closet. They contained drawings for wood dental molding around the dining room ceiling and oak wainscoting that had not been installed. The owners found a great master wood worker who was able to use salvaged wood from the home to make them according to the plans. The parquet flooring is only found in this room and is pristine. The narrow mantel above the fireplace was imported from England. To complete our tour of the downstairs we will see the kitchen. I will warn you that it is anti-climatic. In keeping with the times when servants did the cooking and small kitchens were seen as efficient, this one is typical. The current owners kept the size of the kitchen, but lowered the 12 foot ceiling to 10 feet and installed recessed lighting. They remodeled the kitchen in 1999 to make it more efficient with more counter space and newer appliances. Now, let us go upstairs. All bedrooms are on the second floor as well as the study and library. Notice the brass security rod over the banister. The original Master bedroom was converted to a study and has one of the many fireplaces faced by rare black marble. The once attached bathroom was closed off and remodeled to a "His bath/steam shower and closet. The main feature of the current master bedroom are the massive Tudor windows behind the large window-seat encased by lighted built-ins. The walls are padded and covered with grasscloth fabric. Adjoining this room is a converted sleeping porch for the children, but enclosed in the late 40's or early 50's and now used as a dressing/sewing room. The original bath has been updated for the lady of the house. Notice the beautiful original arched doorway and doors. The guest room off the long hall include the original bath and fireplace. The owners were able to preserve the original toilet and tub by accessing the plumbing through the dining room ceiling. Further down the hall is the library/sitting room. There are stairs leading down to another level to the utility room which was originally a large storage closet. On this lower level was originally a screened sleeping porch that was enclosed and used as a bedroom for the owner's two sons. They also modernized the existing bath. Before going back downstairs, I decided to explore the intriguing attic. This huge expanse of space held the only obvious evidence of the added central heating/cooling system. In one of the two side rooms, I found this old chest and wondered what it might have once held. It had to have been placed here before walls were in place and the attic will be its forever home. Thank you Sharon for allowing me to share this one-of-a-kind, fairy tale place with my friends. 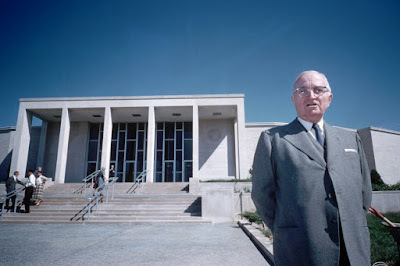 I found information about the renowned architect Edward F. Neild from Shreveport, Louisiana to be very interesting. He graduated from the School of Engineering at Tulane University in 1906 before going to Europe to study architecture and applied arts. 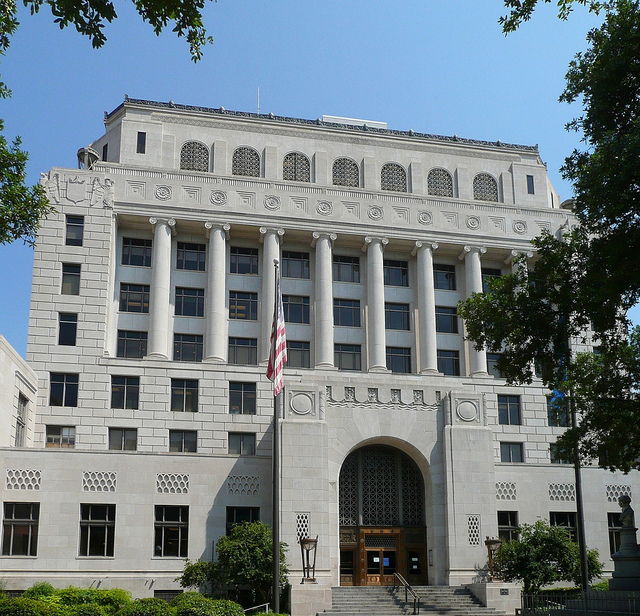 When President Harry Truman toured Louisiana, he was so impressed with Neild's design of the Caddo Parish Courthouse that he contacted him to design the courthouse for his own Jackson County, Missouri. Neild was a consulting architect for the rehabilitation of the White House during the Truman years as well as the lead architect of the Truman Presidential Library.